While there is certainly a time and place for complicated meals with exquisite detail and lots of steps, weeknight dinners aren’t that way for me. I rarely attempt recipes that will take forever or require 36 exotic ingredients. I don’t have the time or budget for them, truth be told. It’s about all I can do to attempt roasting a chicken (SO much easier than you might think it is). 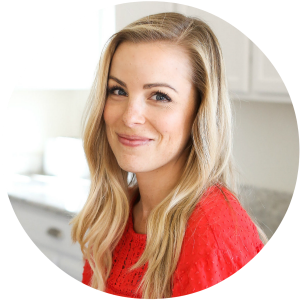 Still, there are a few tips and tricks I use for waking up weeknight dinners. A well-done sauce or garnish does that for me. A bit of brightness from fresh herbs or a really versatile sauce can really make dinner pop. Simply put, these days, my happiest kitchen successes are those that involve simple ingredients put together well. 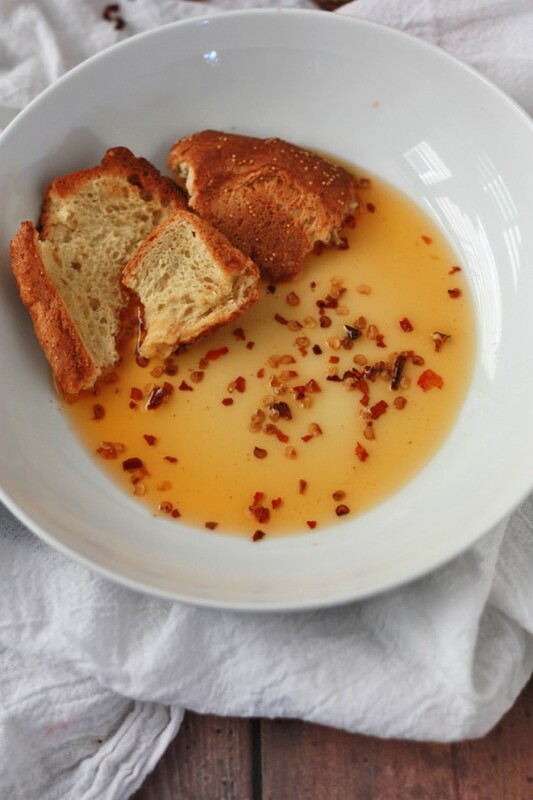 Chili oil is an exceptionally easy recipe and a great example of simplicity at its finest. Two ingredients, no difficult methods, and delicious results. Once you’ve made chili oil, you can spice up a stir-fry or elevate your morning eggs in two seconds. It adds a great subtle kick to sauces or soups, and adds a little something extra to roasted veggies. It’d be great for dipping bread into, giving as a Christmas or hostess gift, or makes a pretty garnish on a plate. You won’t have any trouble finding ways to use it! The fresher your chili flakes are, the more flavorful your oil will be. You may also want to use a mild-flavored olive oil (some are labeled “light tasting”) to allow the flavor of the chili flakes to shine through. Place olive oil and chili flakes in a small saucepan. Heat together over low heat. You don’t want the oil to smoke or boil at all. The surface should just begin to shimmer. Remove from the heat and let the oil steep for an hour or so. Pour everything into a clean lidded bottle or container. Oil will keep up to 2 months. The oil will intensify over time. 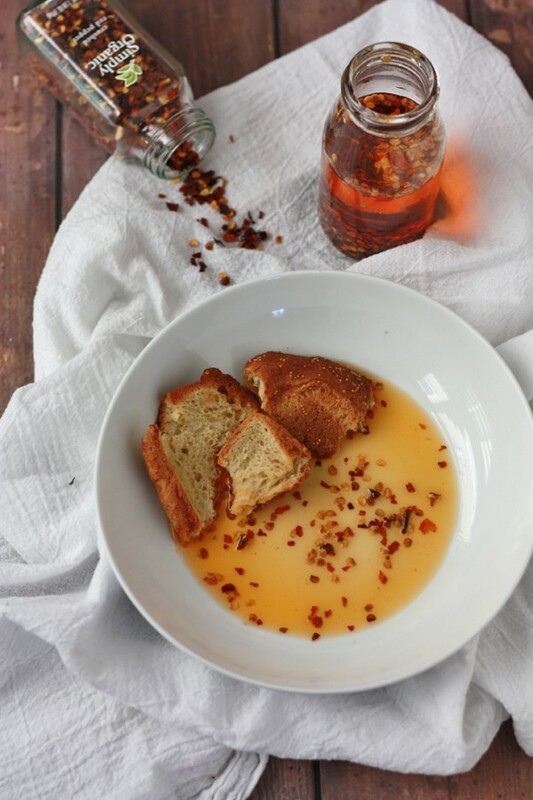 I love chili oil for drizzling over all kinds of stuff, especially pizza! I’ve only bought chili oil however, from now on I’m making my own! Get fresh recipes, menu ideas, favorite things, and more each week!